Evenings & weekends at Brillantmont are filled with activities! Extra-curricular activities form a large part of life at Brillantmont, offering students the chance to broaden their skills and knowledge, get involved in cultural experiences and to practice their sports skills. Activities are organised throughout the year, with regular activities taking place each day and each week and longer excursions planned for holiday periods. Many of these options focus on physical and creative skills that will help students to relax and focus on something other than academic work, while at the same time helping them develop skills that will help them in their studies. Physical activities include group and individual sports such as volleyball, swimming and athletics as well as opportunities for fitness and dance. Other activities allow students to develop their creative side no matter where their talent lies. During the week, there are chances to play an instrument or sing in the vocal club, take to the stage in dramatic productions or create art. Students also have the chance to take part in activities that help build life skills, including a finance society, community service, Habitat for Humanity and the Model United Nations. Activities during evenings and weekends are focused on opportunities to relax, but also to learn more about culture and to open students to new experiences. In the evenings, students are able to attend concerts, go to the theatre or the ballet, or catch a movie. Regular events are also organised at Brillantmont, including international evenings that celebrate the diverse cultures of the students, such as Chinese New Year and Thanksgiving. At weekends, students are offered a mix of day excursions and workshops. 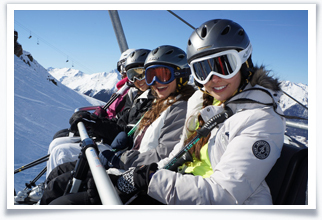 These activities vary from term to term, but include visits to nearby cities such as Geneva and Zurich as well as trips further afield to other major cities including Milan and to the Swiss or French Alps to ski or snowboard. On a smaller scale, weekend activities include sports such as paragliding and mountain biking, visits to museums and galleries, and the chance to learn new skills such as cooking or horse riding. During the year’s main vacations, longer excursions are offered. In October, this is usually a week-long trip to a European city such as Paris or London, while in February students can make the most of Brillantmont’s beautiful Swiss setting with a week-long trip to the Swiss Alps for skiing and snowboarding. A number of academic trips are also offered throughout the year, including language study trips to England and history trips to the battlefields of Belgium and Normandy. If you would like to learn more about Brillantmont’s secondary boarding programmes, click here to request an information pack. You can also get in touch with the school directly, or book a private tour where you’ll meet staff and students.